With virtually a full Premier League programme on Boxing Day there is plenty to keep festive football fans occupied. Here, Press Association Sport looks at some of the key issues. 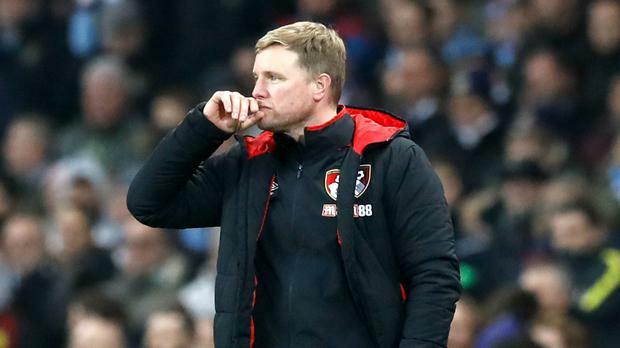 Eddie Howe's side are seven league matches without a win - one game away from equalling the club's worst previous run. They have collected just three points from a possible 21, conceding 14 and scoring just four in that time. Only the two teams below them in the table (Swansea and West Brom) have a worse tally than their 15 goals and, to compound matters, joint leading goalscorer Jermain Defoe is out for two months with a fractured ankle and Josh King and Junior Stanislas are doubts for the visit of West Ham. They have failed to score in their last two matches on Boxing Day and the eight points they have secured at home is the league's worst. Can Swans avoid an Anfield roasting? Bottom side Swansea, without a manager and with just one win in 11 Premier League matches, head to the unhappy hunting ground of Anfield. After 15 successive visits without a win they finally broke their duck in January with a 3-2 win. It was a gritty victory - pegged back from 2-0 they eventually prevailed 3-2 - which sparked four wins in six matches to kickstart a successful survival bid. Lightning rarely strikes twice, however, as the Welsh club have never won back-to-back games against Liverpool. Their last five top-flight visits to Anfield have produced a total of 23 goals - of which they were on the receiving end of 16 - and caretaker boss Leon Britton needs to get his gameplan right if the Swans are to avoid a stuffing. Sam Allardyce's reputation has been built on his survival success but he is showing what can be achieved with a higher-quality squad by making Everton upwardly mobile. Since it became known he was taking over from Ronald Koeman the Toffees are unbeaten, picking up 14 points from a possible 18 with only runaway Premier League leaders Manchester City producing better form. In rising from 16th, two points above the bottom three, to ninth he has Everton looking up not down. The trip to West Brom may not be the most enticing of the Boxing Day fixtures but it is one Toffees fans can at least look forward to. Watford's head coach Marco Silva was in demand back in late October when Everton launched their bid to make him Koeman's successor. Having rejected their advances Watford have slumped to seven defeats in 10 matches, earning just seven points. Silva denies the speculation affected him or his team but they have dropped from sixth, just a point off the top four, to 10th, just six points above the drop zone after five defeats in six matches. They host Leicester, against whom they have not kept a clean sheet in their last 16 meetings, and desperately need a win to arrest their slide. Is Burnley's bubble about to burst? The Clarets' rise into the top four was remarkable but their toughest spell of the season could return them to reality pretty quickly. Having slipped to seventh with Saturday's defeat to Tottenham they head to Old Trafford where they have not won since 1962. Liverpool and United, again, are the opposition in two of their next three league matches - with an FA Cup tie against Manchester City in between. With one of the smallest squads and budgets in the top flight, Sean Dyche and his players are going to have to show the resilience they have become associated with.